It's really no secret that our obsession with velvet continues yet again in our latest DIY project because we think it's perfect for any time of year! 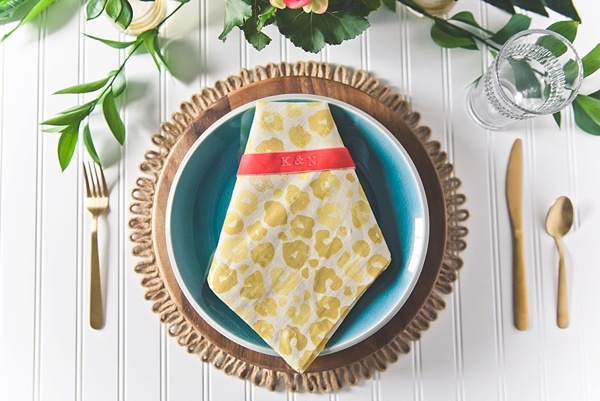 With a bold patterned napkin as our inspiration, we have created a super easy craft that can help take your guests' place settings to the next level without a whole lot of effort. 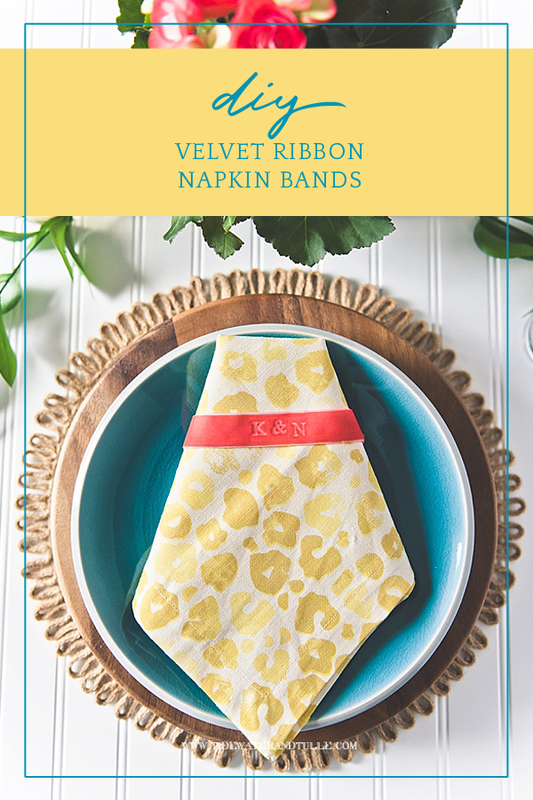 There are so many things you can do with velvet ribbon, but we're bringing it to the table with these simple embossed ribbon napkin bands. Let's get crafting! 1. Lay out all of your materials. 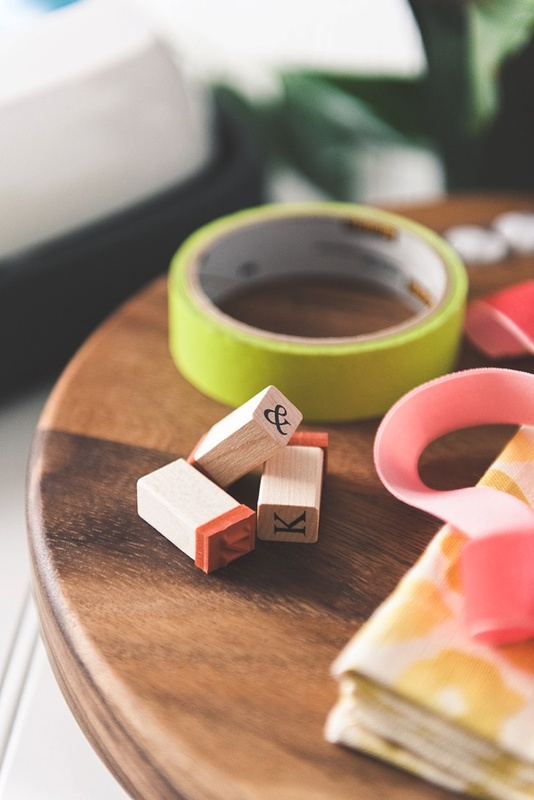 With your rubber letter stamps, select your initials and tape together with masking tape. Be sure to align your letters flat so everything will "emboss" evenly when you press on them. 2. Heat your EasyPress to 275° and set the timer for 30 seconds. Also pre-heat your steamer so that a steady flow of hot steam is being emitted. Helpful Tip: If using an iron, you might have some trial and error to get a deep emboss for your letters, but it should be on a medium-to-high heat, especially when using velvet fabric. Order extra ribbon for testing your emboss! 3. 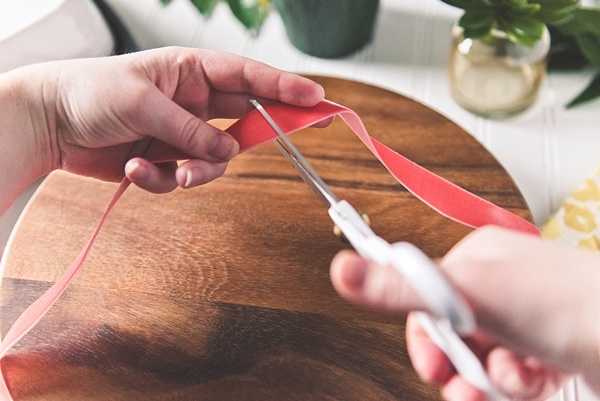 To test your emboss, cut a small strip of ribbon a little more than the length of your taped stamps. 4. Hold your velvet ribbon (backside) in front of the steamer to dampen; time may vary depending on your steamer model, but start at 10 seconds. The ribbon should be limp and damp to the touch when it is ready to be embossed. This is an important step in this as the moisture helps create crisp letters! 4. Place your damp test ribbon fuzzy side down so that the back of the ribbon is up. 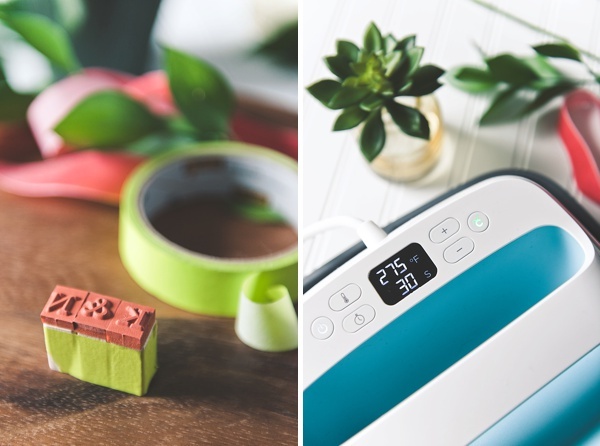 Using your EasyPress or iron, press firmly down on your stamp and ribbon set. 6. 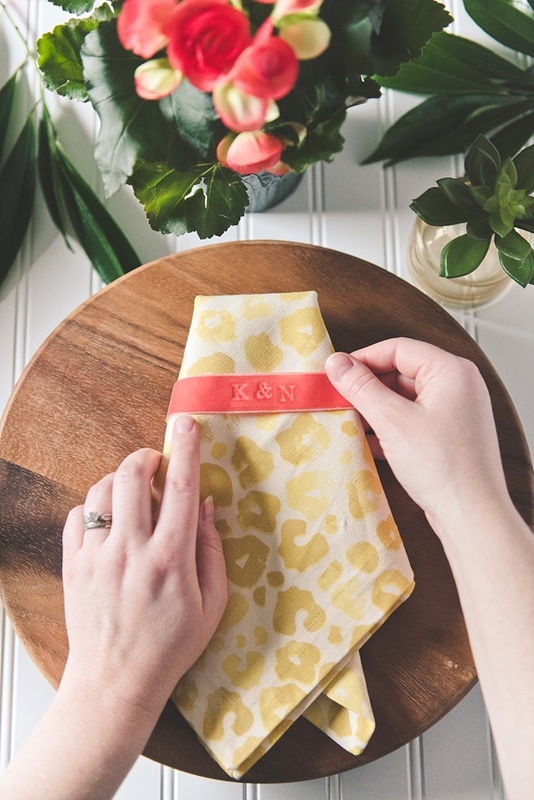 Repeat the above steps to create your napkin bands. 7. 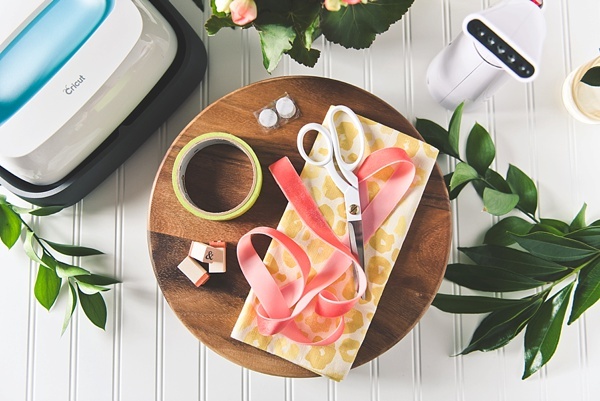 After you're finishing embossing, take a Velcro dot set and carefully press them into place on the ends of the ribbon on opposite sides so that the Velcro is hidden when snapped together. 8. And voilà! 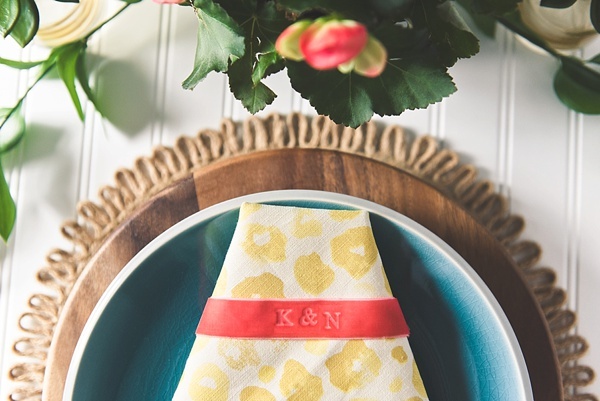 You've just personalized your table settings in a super chic and simple way! 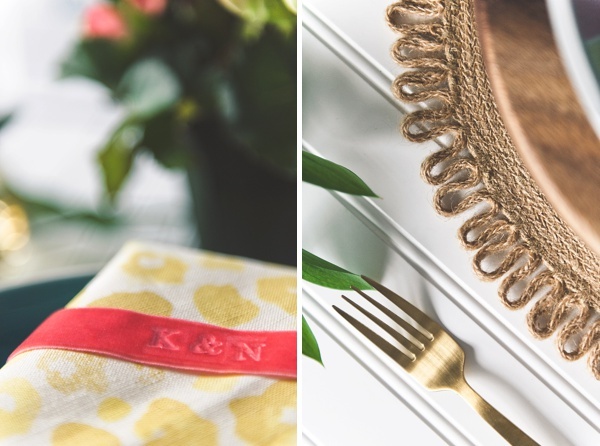 When deciding on what your wedding tables are going to look like, consider mixing and mismatching prints and textures. When done well, it'll look even more personalized and unique like your napkin bands! 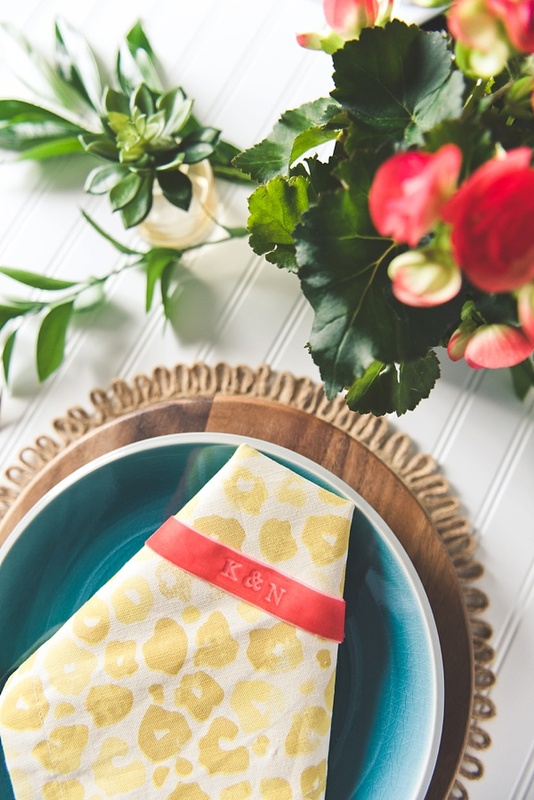 Using your special patterned napkins as a starting point, determine what kind of plates, flatware, and glassware you'd like to complement it. Getting the advice from an expert like a specialty rentals company for weddings can also show you options that you didn't know existed before! Most of all, have fun and play around with your choices until it looks good to you. And can't get enough velvet either? Head over to our roundup of other velvet wedding ideas you can incorporate into the big day! Obsessed with Velvet Like Us? Shop Our Curated Velvet Wedding Favorites!